Life's happiness is all about our perspective. Our point of view. Our attitude towards something. Perspective is our interpretation about life's confrontations. 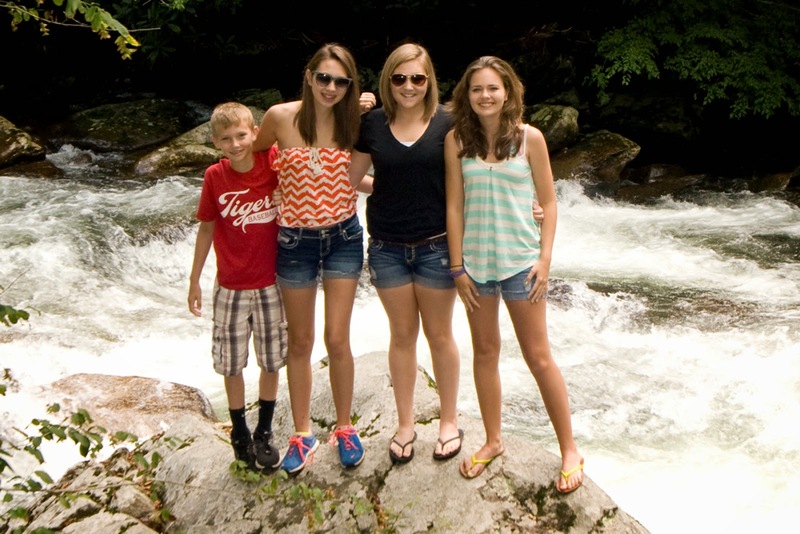 After a physically draining week, I took my hormonal children on a short road trip on Mother's Day. Needing a day to ourselves that was not hurried nor on a timed schedule, felt like a great way to loosen the constraints of hectic lives. A two hour drive gave me plenty of time to reflect on the last ten years. Between the car sick sighs of my daughter and the "Boo Yahs" of my son defeating his Kindle game, I cast back at how we have grown during this time. Our collision has definitely changed our family and in viewing us, we have done a good job at not letting it define who we are. Times have assuredly been hard as our sea of challenges are gradually receding. We have battled through the storms and the wonderfully gratifying aspect is that we've done it together. We as a whole refused to allow life's circumstances to rip our family apart. Before our tragedy our lives were terribly rushed. Working overtime, carting kids to practices and events, many of those overlapping each other. Hugs and kisses were quick as I vaulted one child out the car door to run the other child across town, then to run the three errands I needed before the first one had to be picked up again. Uniforms to wash, dinner to cook, homework that I didn't understand myself. Thinking back, I recall hearing myself talk of the tasks I have to do. I never remember speaking of them as tasks I get to do. I didn't resent them, there were just so many with so little time that I didn't feel privileged to them anymore. My husband and I would often high five in the hallway shouting encouragement to each other. Our life was happy, but I desired a better quality of time with those that I loved. I begged myself to find a way to slow down, to be able to hold my children's hand while strolling, not dragging them along because they were walking too slow. I wanted to flirt with my husband and maybe take a few hours for myself, doing some hobby that I hadn't had time to think about yet. I wanted time to look at life, remember and enjoy it. Now, I asked myself to slow life down, not come to a complete halt. What I could not accomplish on my own had just been handed to me in a frumpy package. Not exactly how I would have done it, but I suppose I was not specific enough in my prayers. Beggar's can't be choosers, I suppose. When I began to recover and start tending to my family again, everything I took for granted was blatantly clear. I had never felt anything like it in my life. I had searched for this clarity for years. It took a one ton truck smacking me up the side of my head to give me what I desired. How selfish of me. How indebted I am because of it. I have been a glass half full kind of gal instead of a glass half empty, but what if the glass is just twice as big as it needs to be? That is how my perception has changed. I began watching my kids in all of their activities with nothing on my mind except them. Ingraining every moment into my permanent memory. I didn't care what else I should be doing or who else wanted my attention. They had all of me. I hold their gazes and smile, just because I can. I am grateful that I get to hear my children's heckling of each other, I get to see their pouts after being told, "no", I get their smiles as I sit in the stands after they made a great performance, I am even grateful I get to sit through.................Middle School Choir Concerts. Putting a twist on perspective is that I only have a few more years that I get to deal with raging hormones from three teenage girls and a pre-teen boy. I know, even this, I will be grateful for, it just may take me a little longer to get to that one. We spend so much time viewing others lives, but how do we view our own? When we break it down, is it really as dramatic as we think it is? I say no. KISS. Keep It Simple Stupid. Words to implement. It really is easy if we continue making the effort to keep it so. Life is wonderful, there is kindness, there is simplicity if you choose to view it as such. I am going to steal a quote from Mr. Abraham Lincoln that I would like us all to break down and give thought to. "We can complain because rose bushes have thorns or rejoice because thorn bushes have roses." "If you fall off your horse, get back in the saddle." How many of us have heard that quote or it has been expressed to us in a certain situation we are experiencing? I know I have. Both literally and figuratively. 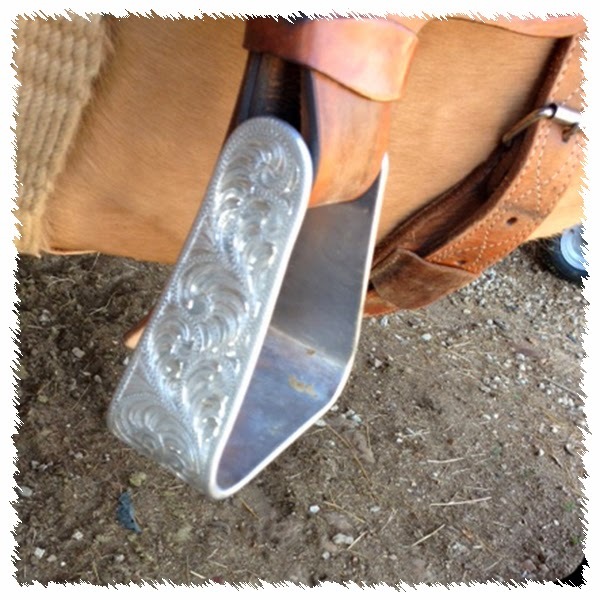 I've grown up riding horses and as a child I have been thrown from my saddle a couple of times. My Father, ordering me to get back on my horse as I stare at him with a look of dismay, then angry pouting as I put one foot in the stirrup, grab the reins and head back to the barn, because I was done riding at that point. Writing this 3 1/2 years into my recovery from a tragic car crash, my heart wanted so badly to get back to my horseback riding. We didn't know if I ever would do to the damage of my legs and the pain they endured because of those injuries. Walk with me as I relay what a wonderful day my first ride was. Like anyone I would never want to admit my parent was right about anything as an adolescent, but now as an adult, it's clear as parents, we adopt situations as learning lessons. We use these for our children's betterment and our aspiration is that at a juncture in their lives they will use it themselves. They will smile as they repeat the words we said to them in their younger years and they will exclaim, " Oh my, I sound like my Mom/Dad!". This original quote feels true to myself as I have had to get back on that horse several times in the last three years. My trauma surgeon informed me in no uncertain terms that I could lay in a hospital bed, in my living room and never get out of the wheelchair that awaited me. My other option was to conquer my anxiety, work long and hard and take the chance that my body might fail. But what if I succeeded? Choosing to get back in that saddle was the only option for me. I am fortunate that is my natural response, whether it comes from deep within me or from my upbringing, I don't care. Succeeding requires this mental attitude. Physically I haven't accomplished activities as I would have before my injuries. I have learned great patience and creativity. Looking at the situation and adapting has been my greatest achievement. The lessons I have cultivated from my tragedy are appreciated. I have an improved sense of myself because of them. It is now not enough to know how to ride, I must know how to fall. There is an art of keeping a horse between you and the ground. There is a discipline to recovering. I must always be thinking ahead, preparation is key and sometimes I just have to take a risk by sitting in that saddle and say, "Well, let's see what happens." 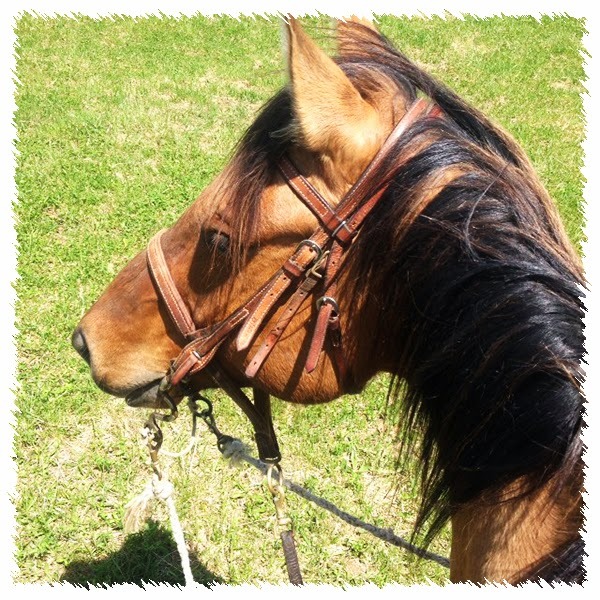 Taking this lesson literally today, I had my husband saddle my horse for me. (it was his horse until I stole it from him) Three and a half years have passed since I've truly ridden a horse comfortably. I have a special horse named Jack. He stands at 14.2 hands and is a perfect gentleman to me. Having my pelvis and both ankles fused with loads of metal covering my bones does not make it easy to stretch your leg up to a 15 or 16 hand horse. Today I was able to mount him unassisted, my first accomplishment, then I was able to insert my right toe into my stirrup for the first time since my fourth ankle surgery, a year and a half ago. I decided to attack this challenge the same way as I had to relearn my physical activities. One step at a time. I prepared. I had a special horse. Special stirrups. We are in a Wide. Open. Field. A slow canter, a faster gallop, then a flat out run! 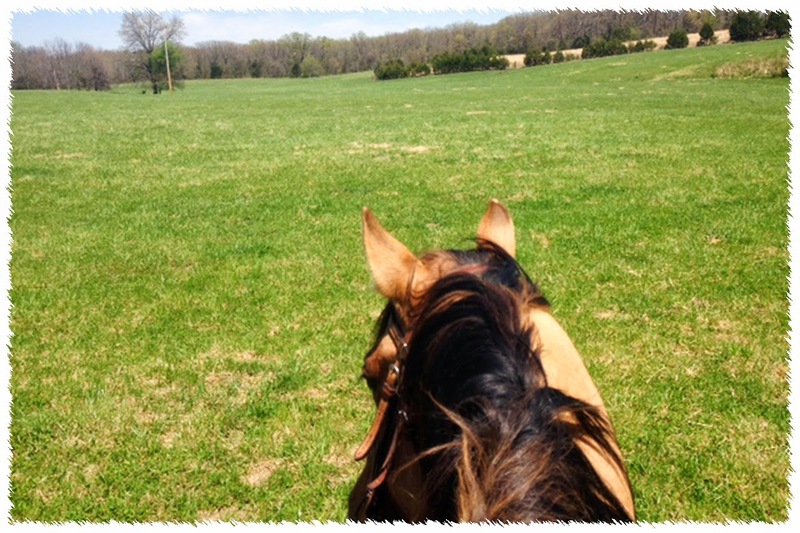 Jack's mane was whipping in the wind as my spirit soared to new heights. Waiting and wondering for three and a half years if I would ever be able to experience that feeling again has finally ended. My smile covered the entire county as I laughed and a tear of happy relief raced from the corner of my right eye. I don't even know who I whispered, 'Thank You' to, but I am truly thankful. 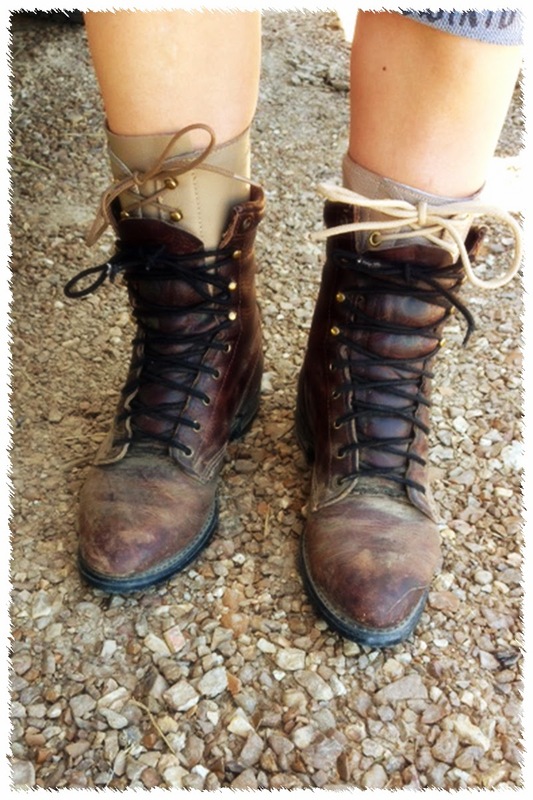 I had a little swag in my hip movement as I rode back to the barn to relay the details of my adventure to my husband. I should give that credit to Jack though as he was the one who was actually prancing up the drive way creating my swag. My heart leaps, knowing that greener pastures are on my horizon and I cannot wait to see what new freedoms I will unlock just by giving it a try. but what if I Succeed?